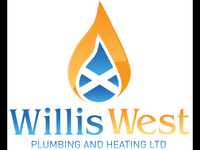 Willis West Ltd are proud to welcome the newest division of the company in Willis West Plumbing & Heating Ltd. The gas safe registered company incorporated in 2011 specialise in full central heating systems along with all gas appliances. We offer advice on the most effective heating solution for your home from a combination boiler to full unvented heating systems. We aim to heat your home the most effective and efficient way possible. Not only will we strive to keep your initial installation costs down but by recommending band A efficiency boilers we give you the opportunity to keep your running costs to a minimum. This advice can be supported by the energy efficiency qualification held by our engineers. Mark (Willis-West) impressed at his initial visit to the site with his knowledge of possible problems and solutions to the replacement boiler installation. He provided a variety of options in his quote which was helpful in informing my decision on which boiler would be best for our particular requirements. Mark organised the necessary scaffolding for the work and a timescale for its installation/removal, and the actual boiler installation itself. Mark was helpful in offering to chase up the scaffolding firm in the event of the scaffolding not being removed at the agreed time, although this wasn't necessary, as it turned out. Mark and his colleague Davie attended the site on the agreed date and worked steadily almost without a break to complete the work in 1 day rather than the 2 days which had initially been pencilled in. They were both pleasant and courteous and took care to keep the flat clean and tidy throughout. I was kept well informed before, throughout and after the installation and Mark was very helpful in resolving an issue with the payment for the job caused by me inadvertently making a duplicate payment which was refunded very soon after Mark's intervention. I am very pleased indeed with the new boiler and with Mark and Davie's efforts on the day. I wouldn't hesitate to recommend Willis-West to anyone considering similar work and I shall continue to involve Mark in the ongoing servicing of the boiler. I have used Willis-West Plumbing for over 5 years and Mark provides nothing but excellent service. He is always professional, upfront and honest with the work being performed. On this occasion, Mark serviced the boiler and managed to fix the very annoying and persistent noise coming from my water heater - for free! Highly recommended! Mark has been servicing our CH boiler and gas fire for some years now. He has also carried out another repair on our disappointingly reliable Vaillant boiler. On this occasion, there was a fault with the boiler that was not straightforward to diagnose but Mark and his colleague went through the possibilities systematically, identified the issues, advised what was required, gave a price for parts and labour, and as soon as the parts were available, returned to carry out a successful repair with the minimum of fuss. I would have no hesitation on recommending Mark for any CH-related work. Mark and his colleague arrived at the agreed time, carried out the repair in a friendly and professional way and, in spite of having to lift carpets and floorboards, left the house exactly as they found it. I can recommend them without hesitation. Mark installed a new boiler and replaced some radiators. I really appreciated his help in choosing the right boiler. He very carefully considered all the issues in our house and made some great recommendations. He communicated very clearly about how long the work would take and was exactly on schedule. Also, the amount he quoted was the amount he charged. There were no extra costs - he was very straightforward. The new boiler is working great! I was anxious about getting this work done, but Mark is exactly the kind of person you want working in your house. He’s considerate and very motivated to finish the job. He managed everything really well and that made the process much less stressful for me. The job was for a new boiler and radiators.All work completed to a high standard and to the quoted price. Mark is really approachable and friendly. He kept me informed at every stage. Everything was tidied up after too. I’m delighted with the new boiler and radiators and would highly recommend Mark. Mark has done both plumbing work and gas fitting work on my flat in Glasgow, and his work has been excellent throughout. He is very skilful and extremely helpful, and can be relied on in all sorts of ways to carry out your instructions. It is a pleasure to give him my highest recommendation. I cannot recommend Mark and his team enough. He installed a combi boiler in a new location for us, fixed the gas pipes under the house to make them safe and installed a new shower. He was so reliable, courteous, made a huge effort to keep everything clean, and worked non stop. He's also been on hand to help us after the job finished when our dodgy old radiator pipes started to play up. Thank you Mark!